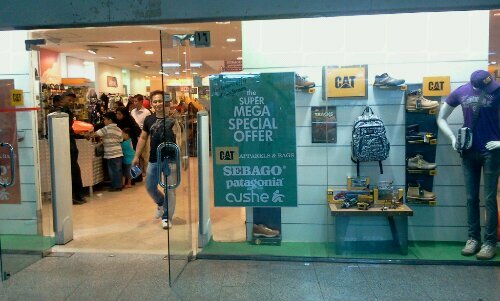 Just want to let our readers know that there are ongoing sale at Caterpillar located inside Electron. Sale items includes shoes, bags, shirts , caps, pants and many more. Sale ranges from 20% to an extent of 75% discounts. I have seen some shoes with 50% discounts. 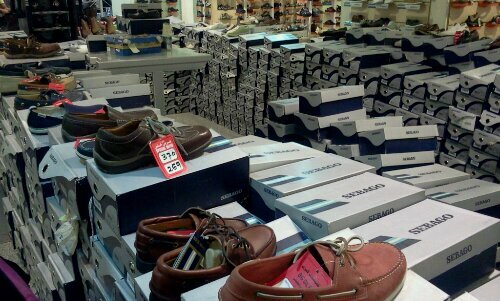 Most discounts came from Sebago shoes. I need caterpillar shoes model no P719437 safety shoes please can anybody provide me email or phone for show room its not for personal use its for company purpose. Aroba Street Exit 10 to Oliya side, after crossing King Abdul Aziz road your right side, original CAT store. im looking for cat bag for my macbook air 11.6 inches ? You can go to al Batha. kabayan, ask ko lang kung original ba ang MERRELL shoes dyan sa ALgarawi? kce hinanap ko sa Website ng merrell ung model na pinicturan ko dyan sa shop sa al garawi, wala akong makitang kapareho eh, hindi kaya imitation lng ung andyan sa display nila? 00 966 1 4196096 – phone.. The showroom is at al-batha… , riyadh. The shop name is al-garawi centre. If any doubt , call at the number amd ask about the shop…. i wanted to know that when it has been started?? and still is there the sale?? I HAVE FORGOTTEN TO SAY WHERE `AM COMING FROM,I RESIDE IN MOMBASA ISLAND KENYA. I want to know more about Leather shoes,sandals and boots especially Catterpilar and Clarks.At what extent do you give discount on your sales at the moment.